Cohen Chiropractic Trigger Point Center is the leading chiropractic trigger point practice in Pittsburgh, the state of Pennsylvania, if not the country. 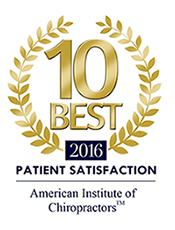 We treat a wide range of patients including professional athletes, musicians, and dancers. Our chiropractic practice is renowned for its use of unique chiropractic methods, specifically the Nimmo trigger point technique. The Nimmo technique is not a typical or traditional chiropractic technique. Although our primary focus is to address the muscles and soft tissues dysfunction, once you have it performed on you, you will not confuse it with a massage. The concept behind Nimmo therapy was originally conceived by, and pioneered by, in the 1930s, 40s and 50s by Dr. Raymond Nimmo, who originally called it the Receptor Tonus Technique. At a time when chiropractors focused solely on the outdated and inappropriate “bone pushing on a nerve” theory, he was developing neurophysiological explanations through years of research and case studies on his patients. Although he was shunned at the time by other chiropractors for taking a new approach focused on muscles, he was truly a pioneer in the field. Many of Dr. Nimmo’s explanations are still regarded as highly sophisticated today. There are a many types of soft tissue and myofascial therapies that exist today that are either directly/indirectly based on his findings, writings, and seminars. Dr. Nimmo stated that not just spinal joints, but also soft tissues of the body, could be the source of irritation to the nervous system. His neurological theories about trigger point formation and how they get wired into your system, are still currently accepted and taught by neurologists. Dr. Cohen has expanded upon Dr. Nimmo’s methods, and developed a new standard for applying these techniques called NimmoCareSM. This non-invasive technique has helped countless patients with pain relief. 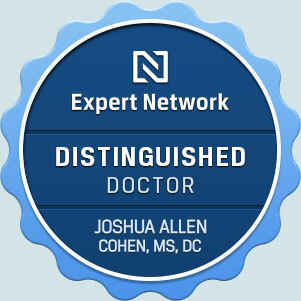 Doctors at Cohen Chiropractic Trigger Point Center are all licensed in NimmoCareSM treatment under Dr. Jeffrey Cohen. The materials and requirements of the Certified NIMMOCARE® Practitioner curriculum were designed by Dr. Jeffrey Cohen. Dr. Cohen was certified as a NIMMOCARE® Instructor in 1978 by Dr. Raymond Nimmo. Since then he has taught countless postgraduate seminars for Chiropractors around the United States. Dr. Jeffrey Cohen has been an Adjunct Faculty member at NYCC for almost two decades, Dr. Joshua Cohen has been an Adjunct Faculty member there for over 10 years where he regularly teach NIMMOCARE® courses to chiropractic students. If you would like to learn more about the certification process, please visit http://nimmoed.org/training/education-certification/.